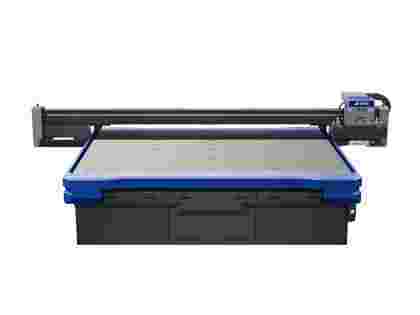 The Jetrix KX6U-LED is a printer you’ll be able to rely on to get the job done. Top quality components will deliver the speed and quality you’re looking for – from 9 sqm/hr in Fine Art mode to 28 sqm/hr in Production mode. This combination of quality and speed is down to the ultra-reliable Konica 6pl printhead, while the automatic anti-head crash system protects from head damage. The Jetrix is not only a great deal faster than its close rivals, it also comes with an optional 2.2 meter wide roll-to-roll system to expand the range of what it can do. Furthermore, it will take media on the flatbed of up to 100mm thick and it’s upgradable to double head. The Jetrix KX6U-LED is compatible with market-leading RIP software, including Print Factory, Caldera and Onyx, making it ideal for printers running multiple devices from one RIP.